Heat Ghee in a pan,add Jeera.Let it change its colour. Cut Green Chilli lengthwise & add it to the pan along with Cashew. 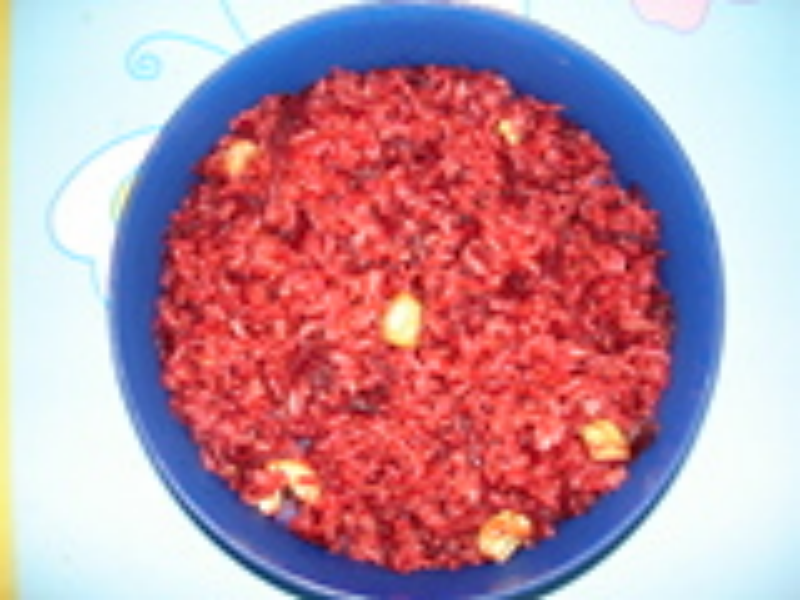 Add Grated Beetroot.Saute till it becomes soft.It gets soft quickly as it is grated. just in 5 min. Add Coconut & Garam Masala,Salt & Sugar. Cook for another 2 min. Mix well with Cooked Rice.